Answers to all your burning questions. It’s no secret around here that we love discovering new Ikea hacks—but for the real insider secrets, there’s no better source to turn to than the company employees themselves. They’re the ones who live amongst the flatpack, after all, and are constantly immersed in the products day in and day out. So, we turned to the experts for the inside scoop on how to get the most out of your shopping experience. Between the perennial fountain of wisdom that is Reddit and a few helpful hacks from an Ikea spokesperson, here are all the tips we’re jotting down for our next visit to the Swedish retailer. Employees actually know how to assemble the furniture. So, if you struggle to understand the cryptic graphic instructions, ask someone at the store! According to user dallasguy321, Ikea workers build everything—from the racks to the display furniture—in the store. Reddit user _epimetheus agrees, adding that furniture assembly is actually part of training for people working in sales. There are not-so-hidden messages in the price tags. 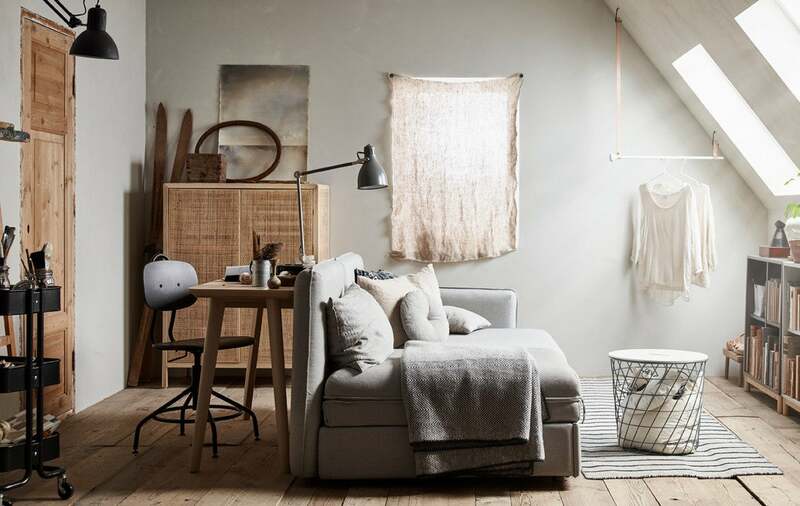 As Ikea’s US design spokesperson, Janice Simonsen, puts it, “The price tag at Ikea is your friend.” It lists helpful information like colors, materials, and sizes for each product, and also denotes the shelf number where you can pick it up. There actually is a best time to shop, in order to avoid the lines. It seems like common sense, but the earlier, the better: According to an AMA posted by user algren123, people come in even before the store is open and create a rush. But to truly avoid the massive lines at checkout, your best bet is to arrive 30 minutes to an hour after opening. Oh, and avoid weekends at all costs: It’s when the stores are the most crowded. Use social media to voice a complaint. The power of Instagram transcends pretty pictures of your finished ikea furniture User algren123 suggests contacting your respective Ikea branch via the social networking app (@ikeausa, for example) for help solving a problem. It’s worth getting a family card. Not only is it free, it also opens up a world of savings and cool perks. Free coffee or tea at the stores is the least of them: User _epimetheus points out that with a family card, you also get a 90-day price check. In other words, if a product you bought with your card goes on sale at a lower price within 90 days after you buy it, Ikea will refund you the difference. There is a place you can go to get those missing screws. It’s called “Spare Parts” in the Returns/Exchanges section of the store, and apparently, it’s a fairly common request. “In around six hours, we have eight to nine cases, which range from one to three screws to a whole bag,” writes algren123. Don’t miss the sale section. It’s actually called the “As-Is” section, and according to Simonsen, it’s a great place to find discounted products from closeouts or displays. You’ll also find mildly scratched or “damaged” items… most of which are actually perfectly fine, especially if you’re into the rustic look. You need to try the meatballs. When asked what to order at the restaurant, algren123 was a staunch advocate of the meatballs, stating that for £5 (around $6) you get 15 meatballs and fries. Plus, the restaurant has a ton of great deals on food throughout the week—for example, kids get to eat free on Tuesdays, and gratis coffee is offered to all Ikea Family members. “Keep in mind that stuff in bins is meant to be a distraction,” says _epimetheus. So, the next time you find yourself enticed by $2 fuchsia throw pillows, ask yourself if you really need them. Chances are, you’re better off heading to more useful sections of the store. But there are definitely employee faves worth buying. Speaking of the more useful sections of the store, there are a few Ikea tried-and-true staples that remain favorites—specifically, the Hemnes line. According to algren123, the price/quality ratio is second to none. User _epimetheus also recommends the Alex drawers and Kallax bookshelf—see? We knew it was a winner—as items worth the buy. This story was originally published on June 14, 2017. It has been updated with new information.